Prev region is Silliman Crest. Next region is Sugarloaf Valley. 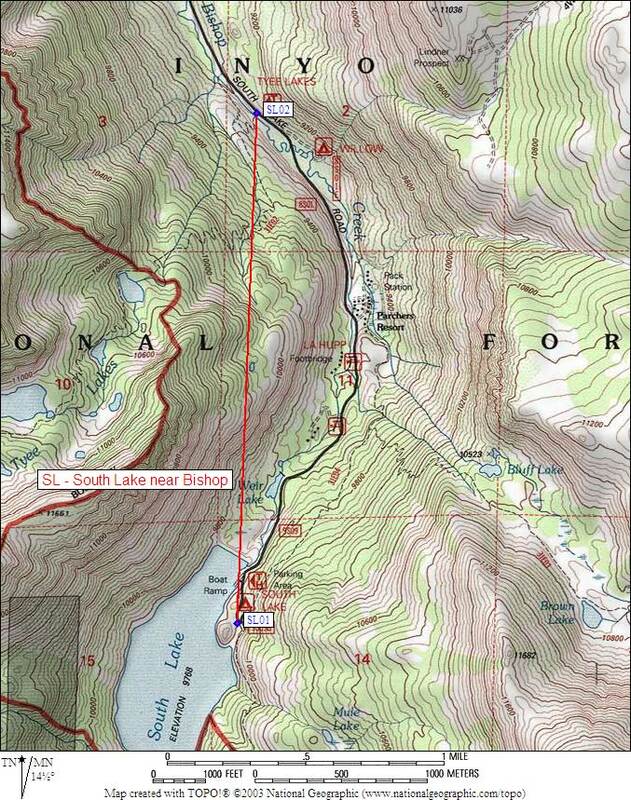 GPS Waypoints in Region SL	: simple Waypoint+ format, download GPX file, or overlay on interactive map. Scroll down for a regional map, or click on box names for details. Map of Bear Boxes in GPS route SOUTH LAKE - see above for details.